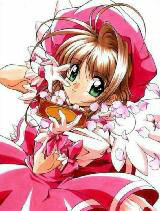 You are going to Watch Cardcaptor Sakura Episode 66 English dubbed online free episodes with HQ / high quality. Stream Anime Cardcaptor Sakura Episode 66 Online English dub The Person Sakura Likes the Most, After viewing Nakuru’s film, Sakura tours the high school fair with her friends, while Toya comforts Yukito when he appears troubled by the fact that he is not human. Alone with Yukito in one of the attractions, Sakura tells Yukito how much she likes him. However, Yukito gently rebuffs her, saying that her love for him is merely platonic, and that he already has someone he loves; Sakura, in a rare moment of insight, realizes that person to be her brother, Toya. Yukito tells Sakura that the person she loves most is still out there when Sakura senses Clow Reed’s presence once more. Using the Maze and Illusion cards, Sakura manages to trap the presence and discovers it to be coming from Eriol, though she loses consciousness. Eriol jumbles her memory of the discovery, acknowledging that she has indeed grown powerful to find him. Sakura tells Syaoran of her experience with Yukito and, despite her understanding and acceptance of the matter, begins to cry. Knowing that now is not the time to tell her that he loves her, Syaoran comforts her and assures her that she will find the person who she loves the most.